Whip It…. Whip It Good! Let’s get medieval and break out those whips, whether it’s flogging your serf or pulling that mace out of your enemies’ hand. Or perhaps you just want to be the ringmaster at the circus or maybe even the lion tamer? 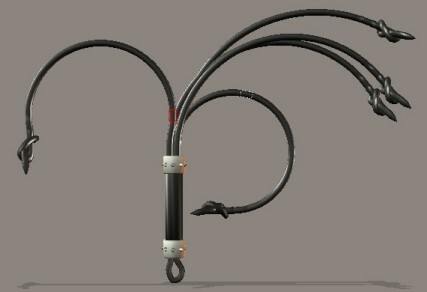 The EasyPose Whips by Ajax’s Twisted Visions uses Poser’s ability to use Enhanced Remote Control (ERC), where one “node” controls multiple body parts simultaneously. 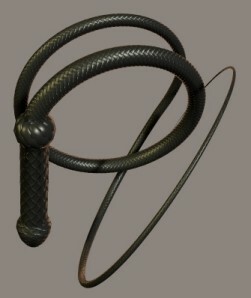 This package contains a whip and a flogger, plus several textures and poses. Installation – Installation is by unzipping directly into the Poser folder using the “use folder names” option in your zip program or by dragging the folders into your Poser folder. 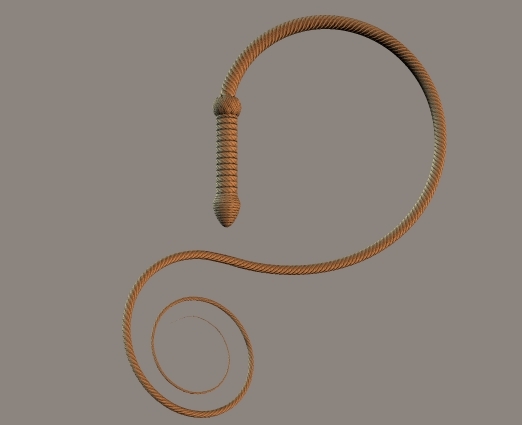 The EasyPose Whip/Flogger are installed into characters:Twisted and poses into Pose:Twisted. Just in case you’re interested, the objs are installed into Geometries:Twisted and the textures into textures:Twisted:Whip. No errors were noted in the installation. Loading – The EasyPose Whip/Flogger loaded with no problems. 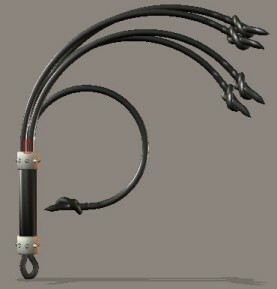 The default load position is with the handle resting on the floor and the whips standing straight up. One of the whips is a conformable one for the P4 figures while the others do conform, to some extent, but work better if parented to the hand. The included poses work well with the P4 figures. 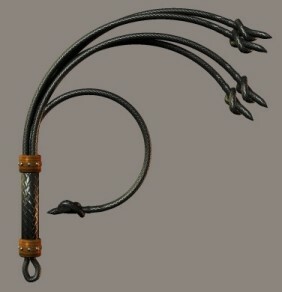 The whips can be found under the Figures:Twisted tab, where you’ll see five icons for two whips and three floggers. 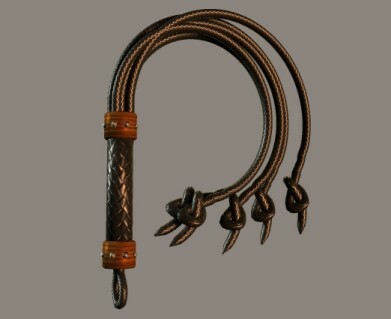 Each whip, conforms right into the middle of the figure’s hand. It sorta becomes it’s middle finger of the right hand, so you’ll have to unconform it, if that is a word, to position it properly. But it does get the whip in the general area of the hand. This is on P4 figures and Millennium figures. 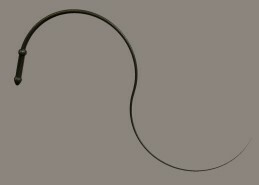 Appearance – The EasyPose Whip is made up of a handle and the actual whip piece, while the EasyPose Flogger has five whip pieces ending in knots. 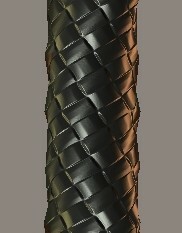 Each whip has two textures available, a rope texture and a braided leather texture. 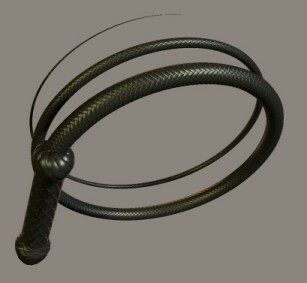 The whip and flogger look extremely realistic, and when you apply the textures they could be easily mistaken for a photo. 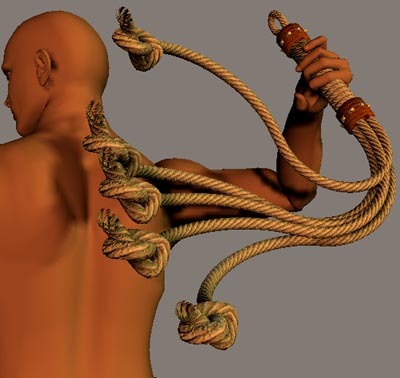 Ajax has implemented EasyPose on the whip/flogger allowing one “node” to affect multiple body parts simultaneously. 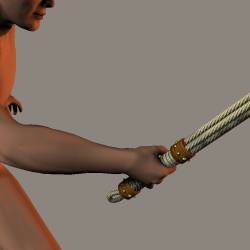 On the whip, the handle is the node and adjusting this node, adjusts the entire whip. 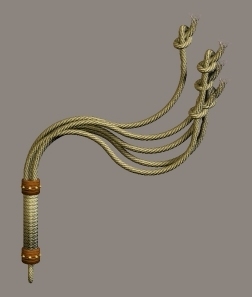 On the flogger, each individual whip has a node that controls just that whip, while the handle is the “supernode” that controls all five whips simultaneously. 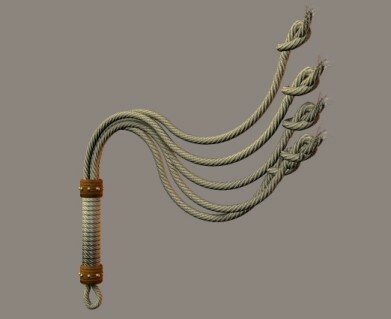 In addition, the individual pieces of the whips can also be adjusted. The dials work flawlessly and quickly. As you work with the whips, you’ll find that using the dials in conjunction with each other, that you will get the most use out of these whips. Because the EasyPose Whips use ERC technology, they do have problems with crosstalk so that you can’t load two copies of the whips in the same scene without having ERC interference between the two. In addition, poses created with the ERC dials can’t be saved to the pose library or zeroed with the joint editor. Versatility and customization – Well, there really isn’t that much use for whips, although they can be used in medieval scenes and circus scenes, plus a few other types of images. But, when you need a whip, then this is the one to get. You can’t get an easier way to pose one than this. Extra features – The EasyPose ERC dials on this product are the real extra feature and without them, posing would be a headache, to say the least. 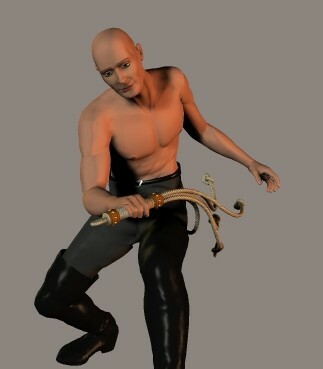 Also included are several poses that give you the body pose for using the whip. 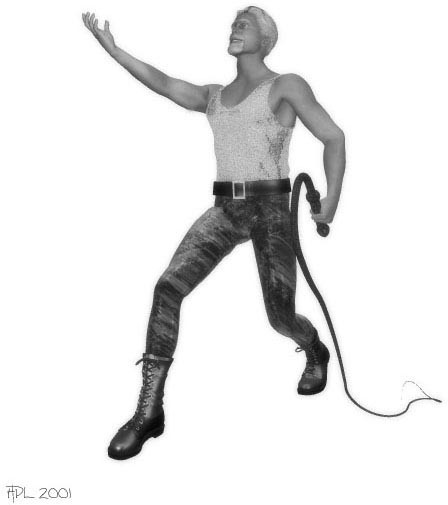 After you apply the pose, then pose the whip to match the pose. 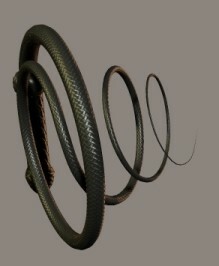 Textures – The rope texture really looks like a rope was photographed or scanned in, while the leather texture looks like an image created using a weave texture. They look great on the whips too. 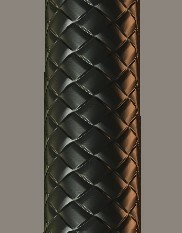 The flogger comes with the same two textures, rope and leather. In any pose, it will fit into the hand in the correct position and direction on a P4 figure, but will need adjusting/parenting when used with the Millennium figures. 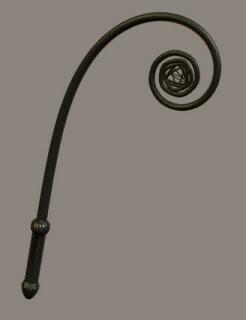 Morphs – The handle on the flogger has a ‘MorphTip’ dial to spread the tips of the whips just past the knot. Each knot also has their own ‘SpreadTip’ dial so that the tips can be spread individually on each one (more realistic). Cost – For $16.00, if you do images that could use a whip or flogger every now and then, then you can’t go wrong with this product and the price is right. Hints & Tips – It takes some time positioning the whip and flogger when you’re using Millennium figures. 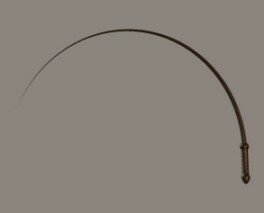 When you get the handle into the correct position, make sure to twist just the handle in order for the object to bend in the correct direction. Darlisa – While I had heard and read a little about ERC, until now, I’ve never had a chance to really try them out. Ajax’s implementation of ERC using what he calls “EasyPose” makes posing the whip and flogger an effortless procedure and I can see the possibilities in other products, like hair (especially braids), ropes, pipes, climbing vines, and spiral armbands. Lee – I found that using the whips is simple and easy , plus they are very realistic looking. They can be twisted, bent, curled and moved into any shape desired. The ERC technology used with this is really fantastic. The textures are also outstanding. These are no ordinary whips. Chrys – I had a lot of fun with these whips. They pose wonderfully, Ajax has taken Poser’s ERC to a wonderfully new level. I’d love to see something similar done with ropes and chains. Good documentation and nicely done textures complete the package. I give it a hearty thumbs up. I’ve actually just finished some chains. They’re only available in some of the smaller stores at the moment but should hit 3D Commune in early February. I never really intended the whips to conform to hands. The sort of almost conforming nature of them is a side effect of me making the right hand camera point at the whip handle just to make it a bit easier to see what you’re doing. Lately I’ve been thinking I should make a support pack of “post conform poses”. 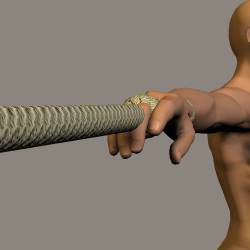 The user would conform the whip, then apply the pose to put the whip in the right position relative to the hand. That idea is still on the drawing board but it shouldn’t be hard and when it’s done I’ll release the poses as a free item at Renderosity. 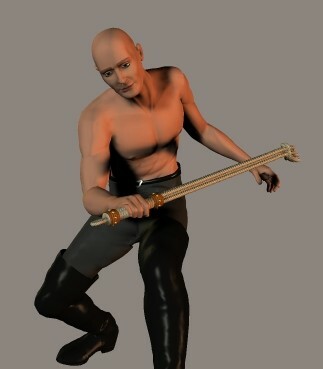 There is also already a free set of MAT poses available in the Renderosity free stuff. 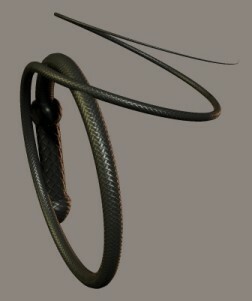 It includes some glowing “neuron whip” materials settings to give the whips a sort of Science Fiction feel.